KIITEE 2019 Admit Card has been issued by KIIT University on 12 April 2019. KIITEE Engineering is conducted by the deemed University i.e. 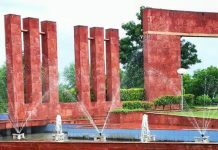 Kalinga Institute of Industrial Technology (KIIT). Kalinga University, Bhubaneswar holds its own entrance examination. Clearing this examination with good grades i.e, above cutoff marks is mandatory for candidates to get enrollment in this university. It offers candidates admissions in their offered graduate and undergraduate courses.The application form is available from 16 November 2018. The admit card would you be available online. The candidates will not receive any hard copy of the admit card, they have to download, print and preserve the admit card. Candidates must take at least two printouts of the Admit Card and safely preserve it for further use. The candidates should carry their Admit Card along with an Identity Proof such as school/college identity card etc. and at least two photographs for personal verification to the examination hall. In the examination hall, candidates must produce their KIITEE 2019 Hall Ticket whenever asked by the invigilator for checking legitimacy. 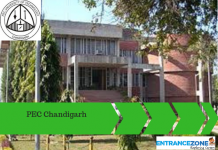 NOTE: If due to any reasons the Admit Card of KIITEE 2019 is not available then the candidates must contact KIIT within the specified dates giving details of the Post Office, date of dispatch, receipt of postal dispatch, Photocopy of the Application Form, one photograph, photocopy of 10th Pass Certificate / Mark sheet. KIITEE 2019 Examination will be through Online Mode only (at a workstation). 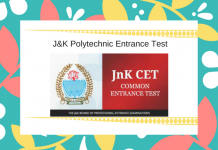 So, the candidates appearing in the examination must be present at the examination centre at least 45 minutes before the commencement of the examination as mentioned in the admit card as per the slot booked by the candidate. The invigilator will announce the commencement and completion of the examination. As soon as the examination completes, the paper will be automatically submitted by the system if the candidate has not done it. After the completion of the examination, the candidates can leave the examination hall/centre. The candidates must carry their admit cards with them to the examination hall. No candidate will get the permission to appear in the examination without the admit card. Every candidate will get a unique seat only. The candidates must find out their seat and occupy that only. If any candidate occupies a seat other than the allotted one without the permission of the invigilator, then his/her candidature will be rejected. The candidates must not take anything with him/her which may be under Un-Fair Means. Without the permission of the invigilator, no candidate can leave the examination hall. Smoking, eating, and drinking is not permitted in the examination hall. 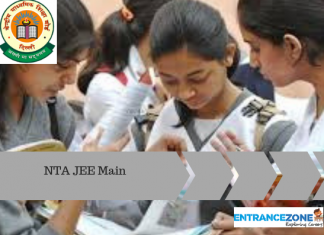 kiitee login, kiit admission 2019, kiit mba admit card 2019, kiit bsc nursing 2019, kiit university phd admission 2018, kiitee admit card 2018, www.kiitee.ac.in admitcard, kiitee management admit card 2019, kiitee fees, kiitee 2019 login, kiit university admission 2019.